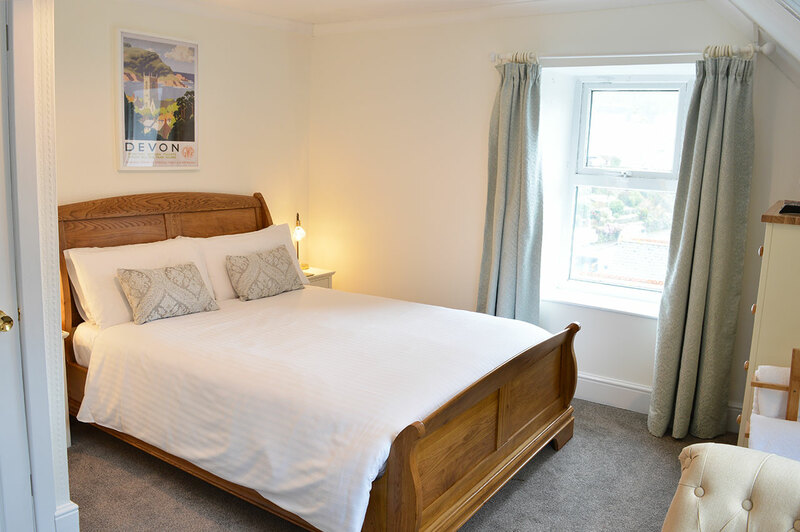 Bedroom Six is a second floor, double en-suite bedroom with dual aspect views down the river to the village and sea, and across the East Lyn river valley. 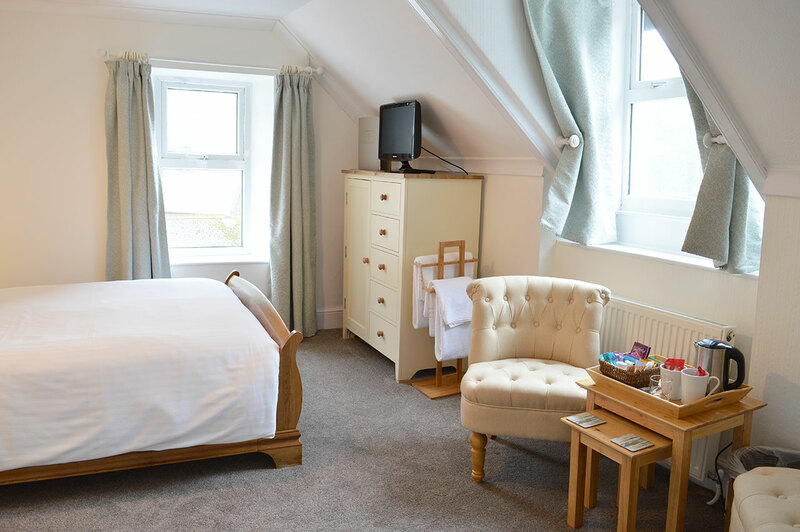 It has a traditional solid oak sleigh bed with soft linen, pillows and cushions, slimline wardrobe, luxurious blackout curtains and relaxing slipper chairs. From here you can enjoy the stunning scenery of the sun setting over the sea. Newly decorated in beautiful pastel colours, you can relax after a day of adventure, before heading out to find some dinner in the local villages. 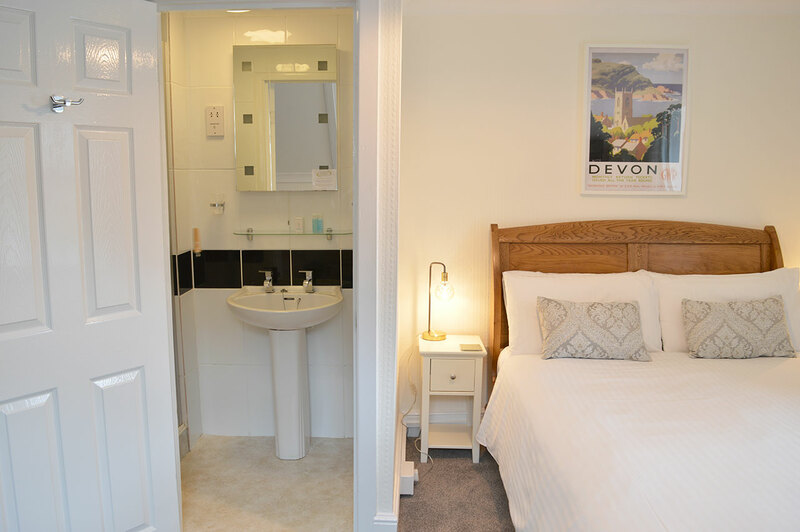 The en-suite comprises of a shower room, with wash hand basin, mirror and large fluffy bath towels. Within the bedroom there is a separate en-suite toilet room. Revitalise and restore yourself each morning with our Crabtree and Evelyn ‘La Source’ hand soap, shampoo, conditioner and body wash.